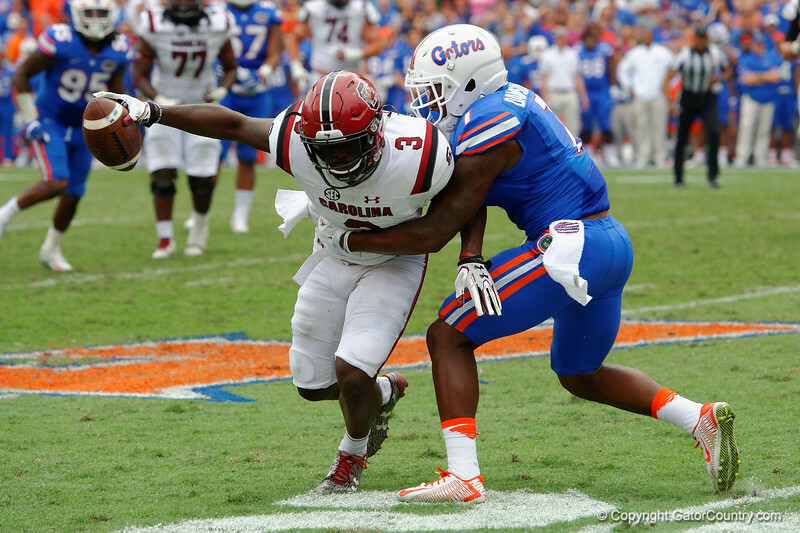 Florida Gators defensive back Duke Dawson making a tackle on South Carolina tight end K.C. Crosby as the University of Florida Gators football team defeats the South Carolina Gamecocks 20-7 at Ben Hill Griffin Stadium. November 12th, 2016. Gator Country photo by David Bowie.